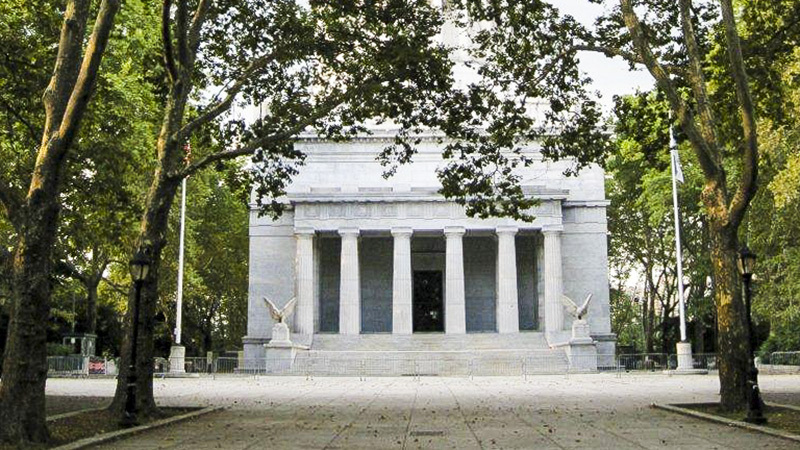 Designed by architect John Duncan, the 1897 Beaux-Arts mausoleum and monument to General Ulysses S. Grant takes its inspiration from the Mausoleum at Halicarnassus and Napoleon’s Tomb in Les Invalides in Paris, France, and was influenced by ideas from the City Beautiful movement. 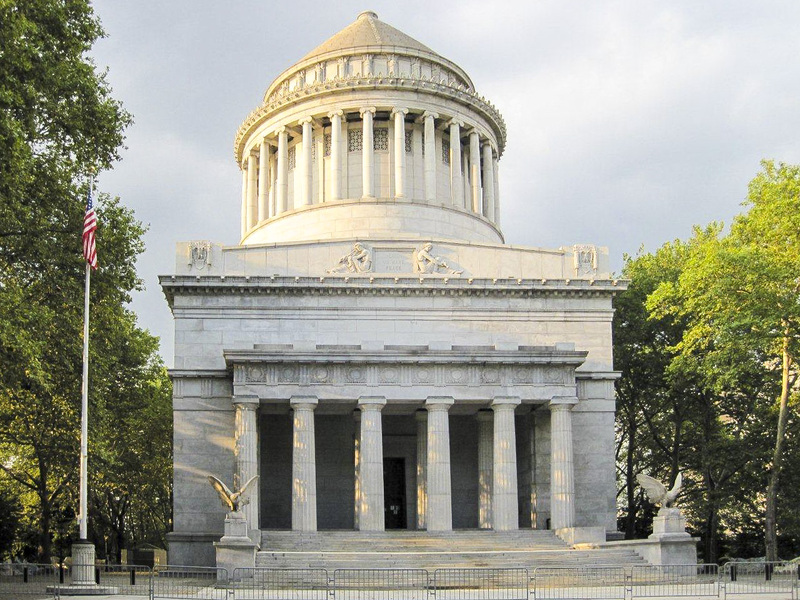 The monument was originally proposed for Central Park’s Mall until Samuel Parsons, Jr., convinced General Grant’s widow Julia that the Hudson River setting with its sweeping panoramic views was superior. Julia Grant was laid to rest in an identical sarcophagus next to her husband in 1902. 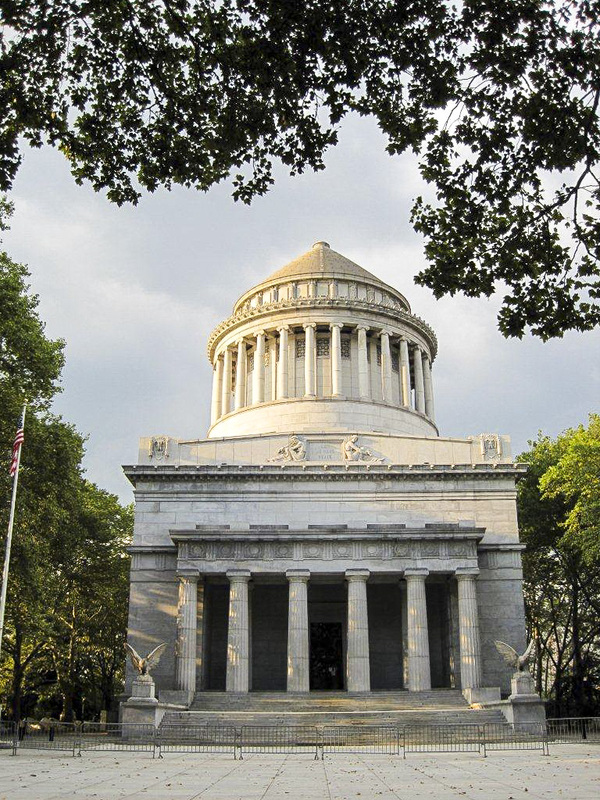 Though its immediate surroundings are neoclassical in form, the monument is nested within the picturesque landscape of Riverside Park, designed to be approached by rail, water, carriage, or on foot. 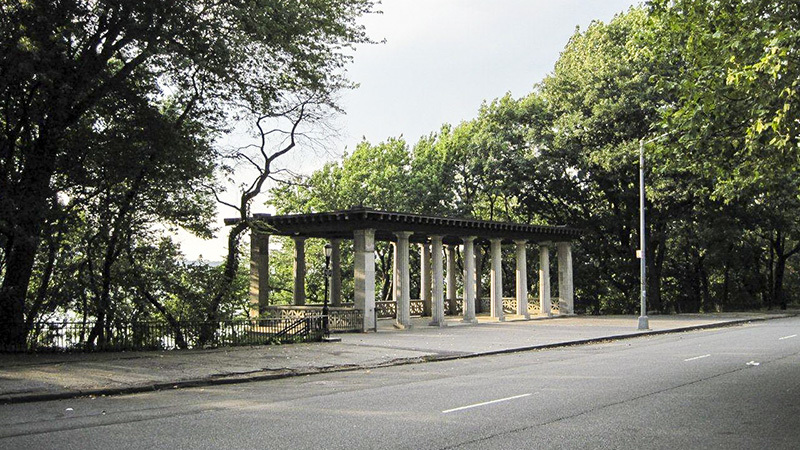 Perched atop one of the highest elevations of Riverside Drive, the Tomb dominates the landscape. The surrounding formal walkways and parkland were designed by Calvert Vaux and Samuel Parsons, Jr., in coordination with Duncan, and implemented by Parsons after Vaux’s death in 1895. In 1885, Vaux and Parsons had proposed that the tomb grounds be separated from the rest of Riverside Park with a new road cut, and Duncan followed their suggestion. 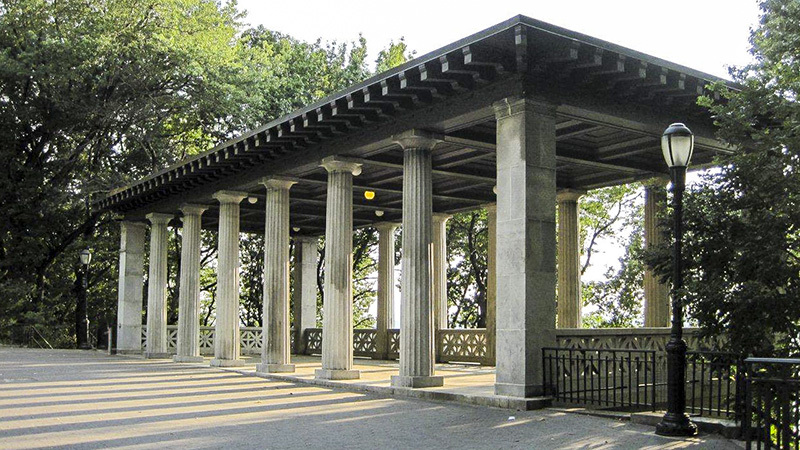 As Landscape Architect for the City, Parsons also oversaw the design and construction of the colonnaded Overlook Pavilion, which provides panoramic river views. The pavilion was closed in the 1970s, but was reopened in 2011 after several years of rehabilitation. 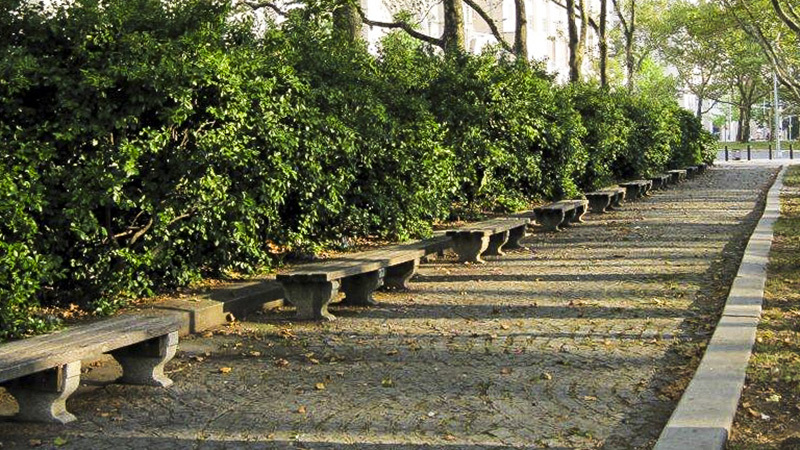 A mosaic bench designed by neighborhood artist Pedro Silva was added to the park in 1970 and restored in 2008. 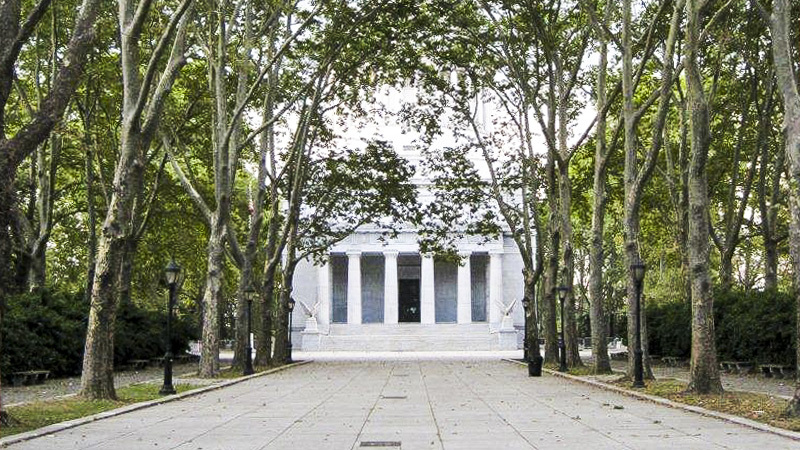 The tomb became a National Park Service unit in 1958, and was listed on the National Register of Historic Places in 1966.